Phoenix, AZ – March 19, 2018 – ABI Multifamily, the Western US's leading multifamily brokerage and advisory services firm, is pleased to announce the $19,500,000 / $62,500 Per Unit sale of the Rio Santa Fe Apartments located in Yuma, Arizona. Rio Santa Fe Apartments is a 312-unit garden-style apartment community located in Yuma, AZ. The property is of 1990 vintage, built of wood frame and stucco. The unit mix consists of 64 one-bedroom / one-bath units, 108 two-bedroom / two-bath units, and 140 three-bedroom / two-bath units, with a weighted average size of 898 square feet. Each unit is individually metered for electricity and equipped with full-size kitchen appliances including a dishwasher, garbage disposal, and range / oven, as well as spacious walk-in closets, large picture windows, 10-foot ceilings, ceiling fans, and air conditioning. Select units offer full-size washer / dryer connections, balcony / patio, breakfast bar, and /or storage space. The community also provides its residents with two laundry facilities, two swimming pools, a clubhouse with full kitchen, and multi-use sport court. 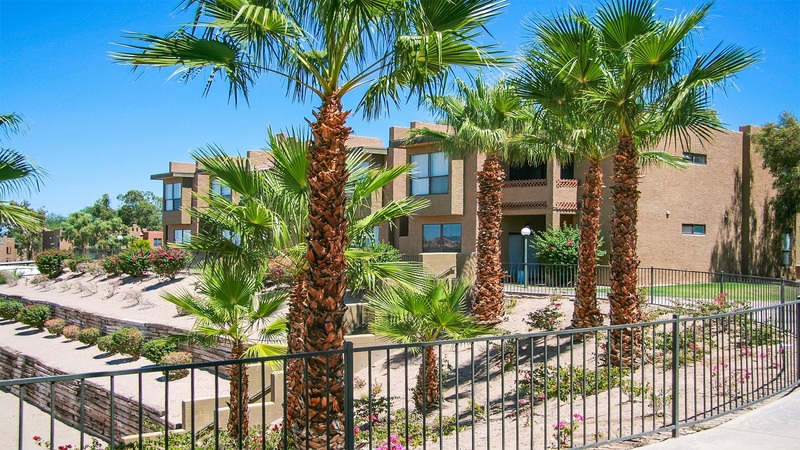 "Rio Santa Fe Apartments is located near I-8/SR-95 interchange, which connects the area to San Diego and Phoenix," states Alon Shnitzer, Senior Managing Partner at ABI, who along with Rue Bax and Eddie Chang were the lead brokers for this transaction. "The property is the 2nd largest, by number of units, in the city of Yuma and was well maintained and operated by the selling entity for the duration of their 20+ year hold." "Yuma is most assuredly changing," states Eddie Chang, Partner at ABI, "Although everyone points to Bill Gates' related entity purchase of property in Phoenix's West Valley for the development of a ‘smart city,' Yuma announced its own Smart City Plan in November 2017. Essentially, Yuma allowed technology company, anyComm and Siemens Industry, to begin the installation of nodes to be installed on the top of every streetlight in the city to create community wide high-speed broadband connectivity. The data received is then funneled and used for Internet of Things (IoT) type applications. This has the potential to be a major game-changer, not only for the city by way of added technology/development jobs but also nationally." The Buyer is a private multifamily investor based in Arizona. The Seller, a partnership formed by Paul Ash Management Company, based in Tucson, AZ, is a private multifamily investor, developer and property manager based in Arizona. The multifamily brokerage team of Eddie Chang, Alon Shnitzer, Rue Bax, John Kobierowski and Doug Lazovick represented both the Buyer and Seller in this transation.